What time, you ask? Giveaway time! If you’ve been following my blog for very long, then you know that I LOVE giveaways! I love them for several reasons. 1) They allow me to give back in a BIG way to one of my amazing readers. 2) They are so much FUN! 3) They help me find awesome new teachers who I can help through blog posts and my newsletter. And I have done some great giveaways before, but this giveaway takes the cake! 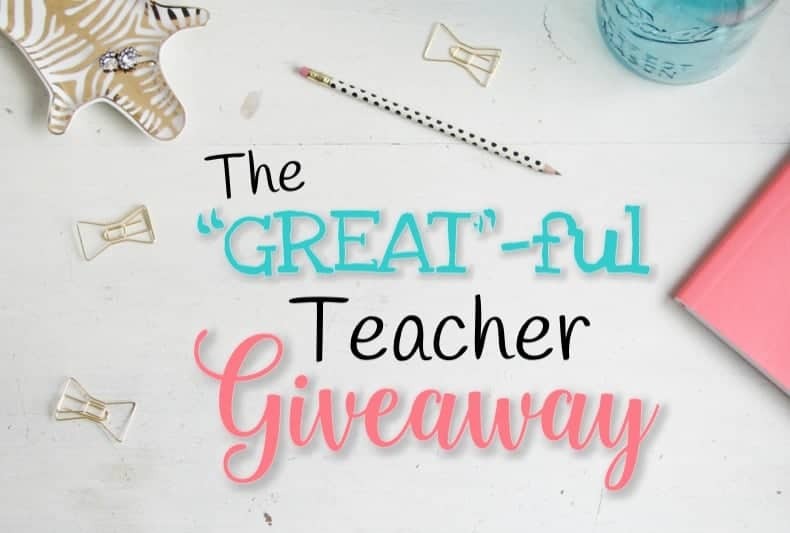 I have teamed up with Teresa Kwant and Kirsten from Kirsten’s Kaboodle to bring you the biggest, juiciest teacher giveaway I’ve ever seen! 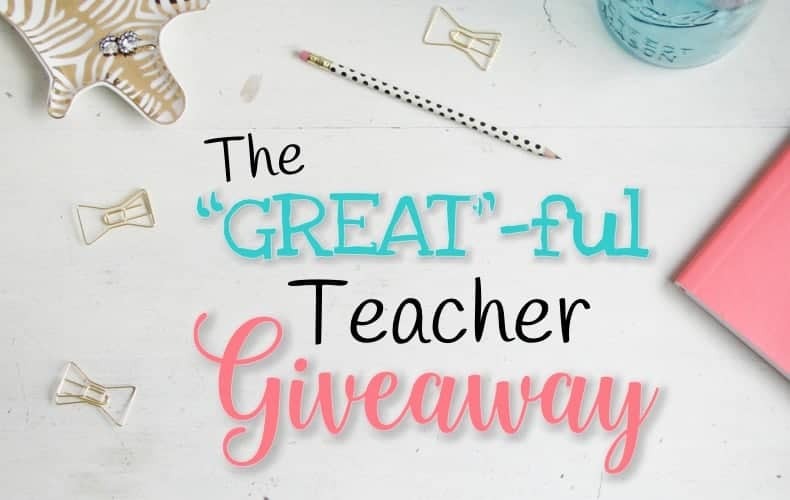 For this reason, we are calling it the “GREAT”-ful Teacher Giveaway. This is partially because we like to be punny like that. But honestly, we also believe that this giveaway really is GREAT! And of course, since it is November it is time to be thankful. We are so grateful to all of the amazing teachers out there for everything you do! The grand prize consists of teaching supplies and teaching resources that all together value a whooping $338.73! (as of Nov. 1, 2016- prices on Amazon do slightly change on occasion 🙂 ) You get 3 entries when you enter, and can earn an extra 10 entries for every teacher friend you refer! The worst part of calling in sick as a teacher is writing sub plans! Don’t fret- you can be prepared with my Ready to Go Sub Plans. Each set includes a full day of plans plus 24 pages of editable forms for your sub binder. 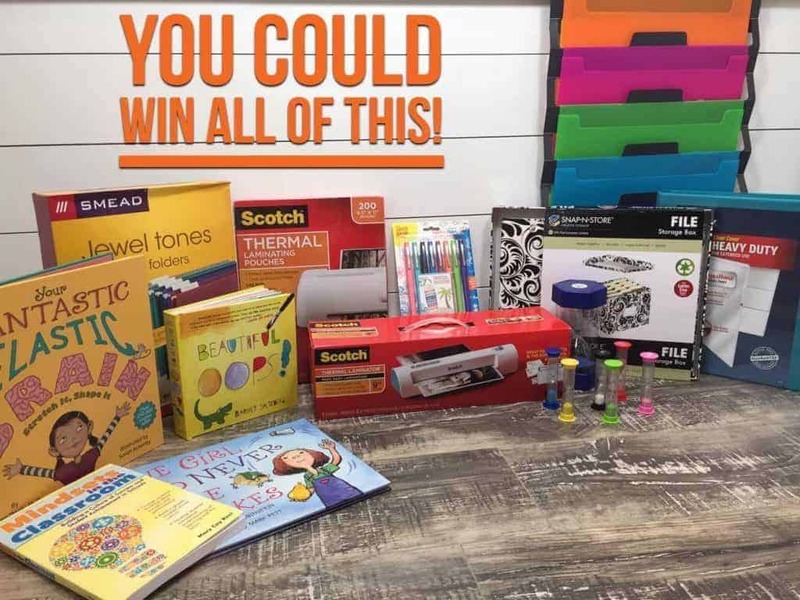 The Grand Prize winner will receive a full WEEK of my Ready To Go Sub Plans for their grade of choice (Kindergarten through 6th grades are available!) 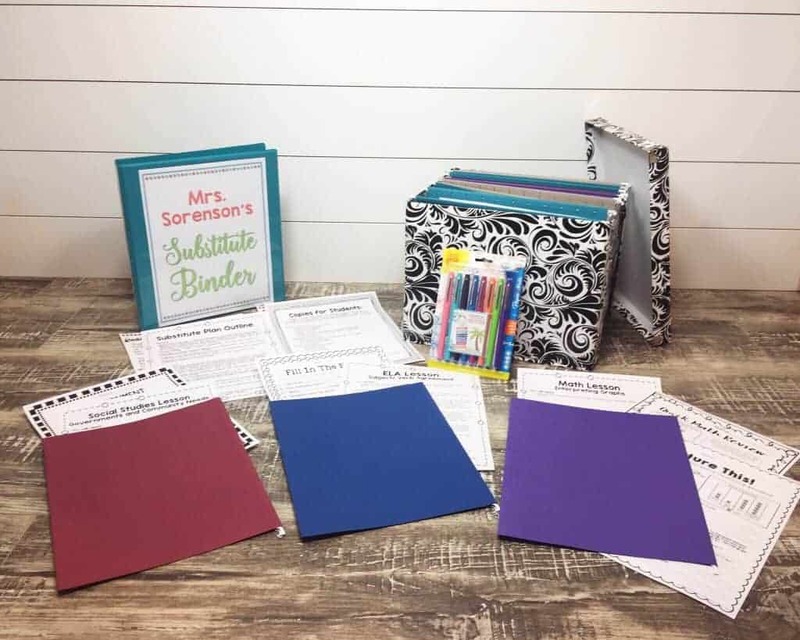 You can also use the binder to organize your forms in a sub binder and the adorable file folder box and file folders to organize your full week of sub plans! You will get all 5days Ready to Go Sub Plans for your grade of choice. 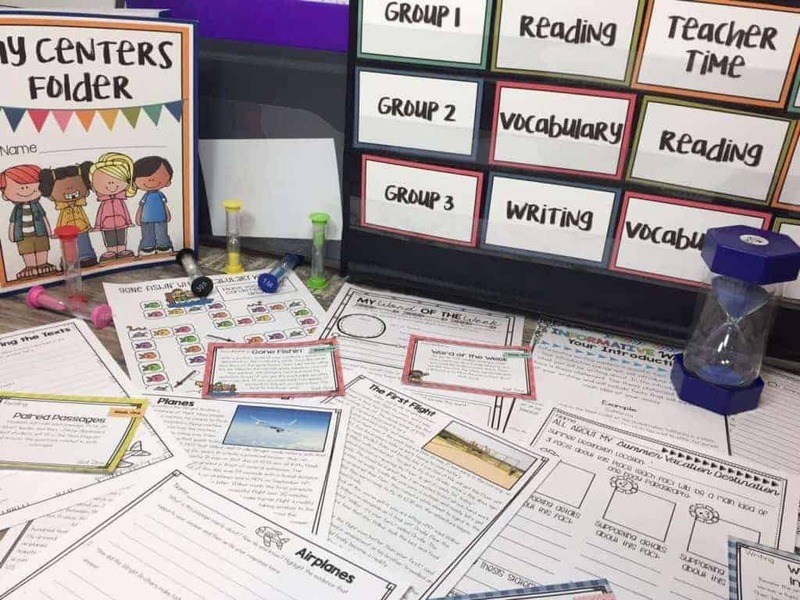 Literacy centers are a perfect way to differentiate your instruction because you can do interventions with some groups of students while doing enrichment activities with others. The winner of this giveaway will win four of Teresa Kwant’s Monthly ELA Centers. Each set includes everything that you need for a full month of literacy centers! You can use the hourglass and timers during your centers and use the cascading wall organizer to keep everything you need for your centers in place. Growth mindset has been buzzing like a swarm of bees through the education field in the last couple of years. Students with a growth mindset believe that, despite obstacles and challenges, a person can develop abilities and achieve goals through motivation, hard work, and practice. These resources will help your students to do just that! 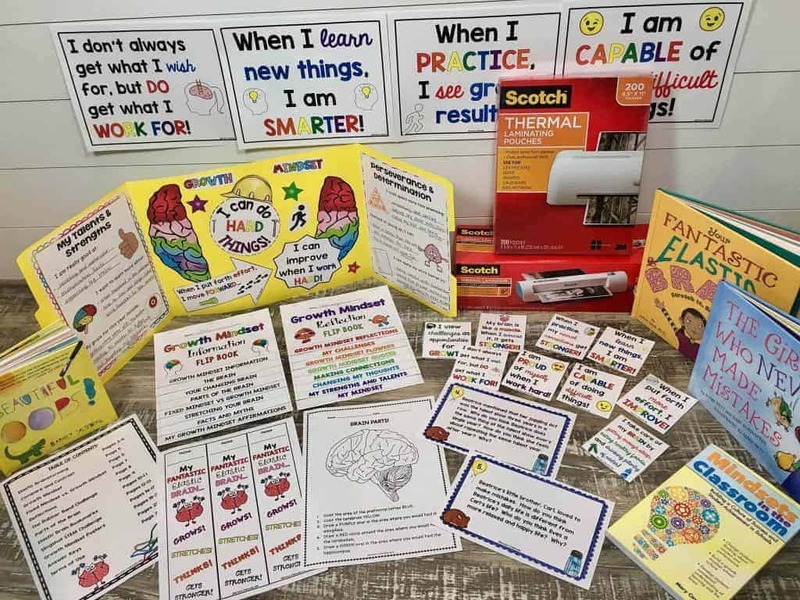 Several books to use with the Literacy Units are included in the giveaway, and the laminator and laminating sheets will be perfect to use for the bright colored posters and more! Total Grand Prize Value: $338.73! How To Enter in Three EASY Steps! SHARE, SHARE, SHARE for TEN bonus entries for EVERY friend you refer who enters the giveaway using your unique referral link. The last step is optional- but gives you a much better chance of winning the giveaway! You get 3 entries automatically (plus your bonus freebie from each of us!) After you complete all 3 entries, a unique referral link will generate at the bottom. For every friend who enters using your unique referral link, you will get 10 additional entries. Enter the giveaway? You have 3 entries. Refer a friend? You have 13 entries. Two friends? 23 entries. 5 friends? 53 entires!! Are you catching my drift? What are you waiting for? Start by entering in the widget below, then share your unique referral link with ALL of your teacher friends on Facebook, Twitter, email, text, teacher Facebook groups, etc so you can get as many entries as possible! This would be perfect for a first year teacher! I'm graduating in May of 2017 and I would love to have these materials in my classroom!